The Arizona Office of Tourism is pleased to provide this monthly update of new and noteworthy items within Arizona’s tourism industry. For more information, contact Becky Blaine at bblaine@tourism.az.gov, Kim Todd at ktodd@tourism.az.gov or Marjorie Magnusson at mmagnusson@tourism.az.gov. 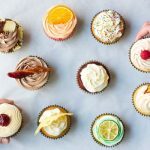 What do you get when you combine craft cocktails and handcrafted cupcakes? You get Phoenix’s tastiest new boutique bakery, High Spirited Cupcakes. Led by Valley native and self-taught baker, Lauren Klein, and her partner Heather Shoemaker, High Spirited Cupcakes tempts with 25 deliciously decadent and wildly inventive cupcake varieties, such as the bourbon-spiked Sinabun or the Hole Molé made with mezcal-infused chocolate molé cake. Operating out of a state-of-the-art commercial kitchen in the heart of downtown Phoenix, High Spirited Cupcakes are available for delivery throughout the Phoenix metropolitan area, as well as curbside pickup at the Residence Inn/Courtyard Phoenix Downtown (132 S. Central Ave.). High Spirited Cupcakes are also available at The Bistro inside the Residence Inn/Courtyard (non-alcoholic only) and at Bitter & Twisted (three different rotating flavors). High Spirited Cupcakes cost $48 per dozen, and orders must be made 72-hours in advance. One of Arizona’s most iconic resorts, The Phoenician, opens its newest restaurant concept, Mowry & Cotton. The restaurant features everyday vibes and a seasonally inspired menu by emerging chef Tandy Peterson. 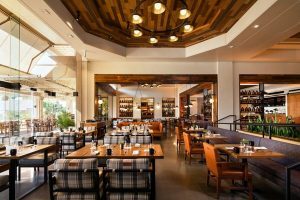 Outfitted for the modern rebel, Mowry & Cotton is a departure from the traditional luxury scene at The Phoenician, providing an inviting, unintimidating spot to kick up one’s feet and break bread with friends and neighbors. Bold and original, the eatery offers an expansive indoor/outdoor dining space with seating for up to 340, while carefully tailored accoutrements and contemporary takes on an Old West aesthetic combine to create a comfortable, welcome addition to the AAA Five-Diamond resort. The Sedona Heritage Museum has announced the opening of its newest permanent exhibit featuring the area’s unique wine-making history. The exhibit highlights the Verde Valley wine industry, the Heinrich and Dorette Schuerman wine-making family and the impact of Prohibition. One of the most innovative features of the new exhibit is a virtual reality tour that recreates a walk through the Schuerman vineyard. Schuerman’s was the first commercial winery in Arizona. The family produced wine in their stone winery from 1884 to 1917. The exhibit incorporates other modern technology, including interpretative audio readings of Schuerman’s letters written while Heinrich was incarcerated during Prohibition, a digital photo slide show and a touch-screen monitor that hosts an interactive timeline of the area’s wine history and milestones. The exhibit is the result of a grant from the City of Sedona and private donations. The Sedona Heritage Museum is located at 735 Jordan Road in Jordan Historical Park in Uptown Sedona and is open daily from 11:00 a.m. to 3:00 p.m. Opening in 2019, Great Wolf Lodge Arizona will make a splash in the hospitality and tourism scene by bringing its impressive 85,000-square-foot indoor water park to the Phoenix metropolitan area. Highlights of the 350-room resort will include a 27,000-square-foot family entertainment center known as the Great Wolf Adventure Park, several dining options, family friendly suites in a variety of styles including KidCabin suites, and nearly 6,500 square feet of flexible conference space. The hotel will be built in the Talking Stick Entertainment District next door to Salt River Fields, the Arizona Diamondbacks’ and Colorado Rockies’ spring-training home. Grand Canyon West continues to add new experiences to thrill the more than one million guests who annually visit the West Rim of the Grand Canyon. The latest addition is a pair of epic ziplines that will let adrenalin-seeking adventurers soar nearly 1,000 feet above the floor of a side canyon located amid the West Rim’s matchless scenery. The Zipline at Grand Canyon West, which opened January 2, 2018, consists of two “quad ziplines,” each with four steel cables running side-by-side in parallel formation, to allow groups to soar together at speeds approaching 50 miles per hour. The Zipline at Grand Canyon West will accommodate an estimated 350,000 visitors annually. Ticket prices are $89 per person for adult visitors with tickets available on site only. Currently, the zipline is open Tuesday through Friday from 9:00 a.m. to 4:00 p.m.
TopGolf Marana has officially opened to the public. Its state-of-the-art driving range features 72 climate-controlled hitting bays, open year round, that can host up to six players at one time, micro chipped balls that score themselves, and a TV screen in each hitting bay that instantly shows players the accuracy and distance of their shots. The driving range is just one of the activities at the 53,000-square-foot venue, there are also target games, music, gastro pub-style food, craft beer and cocktails and big screens in a contemporary setting. Starting May 5, 2018, the Flagstaff Airport adds an additional non– stop flight to Los Angeles International Airport (LAX) on American Airlines. The flight will depart LAX on Saturdays at 2:00 p.m. and arrive in Flagstaff at 3:30 p.m. It will then depart Flagstaff at 4:00 p.m. and arrive in LAX at 5:43 p.m. The Flagstaff Airport will add another destination, Dallas Fort Worth International Airport (DFW) on American Airlines, starting June 7, 2018. This route will be a non-stop flight and will only fly on Saturdays. The flight will depart from DFW at 11:00 a.m. and arrive in Flagstaff at 11:30 a.m. The returning flight will depart Flagstaff at 12:45 p.m. and arrive in DFW at 5:15 p.m. American’s current 70-seat aircraft, which includes a first-class section, will operate these routes. Fountain Hills, Arizona has been designated an International Dark Sky Community by the International Dark Sky Association (IDA). It is one of only two International Dark Sky Communities located near a major metropolitan area. In total, only 16 communities in the world have earned this prestigious designation. Four of the 16 communities are located in Arizona: Big Park/Village of Oak Creek, Flagstaff and Sedona. The local astronomy club, in cooperation with the library, offers monthly star parties to introduce people to planets, constellations and extraordinary stellar objects. Three telescopes were donated to the Fountain Hills Library by Fountain Hills Dark Sky Association (FHDSA) Board Member Dr. Craig Gimbel so they can be checked out just like books. This program resulted in a national award for the library. A key focus of IDA and the Dark Sky Communities is to educate citizens about light pollution’s destructive effects through presentations, literature, news items and dark sky festivals. Fountain Hills is planning its first dark sky festival for April 21, 2018.